Directly all foods for animals are governed by the same legislation and, as farm animals form part of the human food chain, the laws are necessarily stringent. Furthermore, as pet food is manufactured and distributed in the same way as human food, some legislation governing human food is equally applicable to pet food. 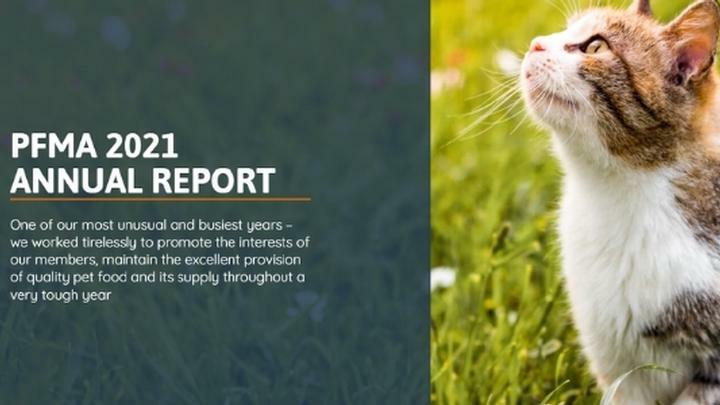 Indirectly, pet food enjoys the additional legal protection of the law which was designed to safeguard raw materials destined for the human food chain, from which the pet food industry also sources its raw materials. Examples of this include the laws restricting the residue levels of veterinary substances in meat and those of pesticides in cereal products. In addition, there is specific legislation governing pet food. This section also details what is in pet food. 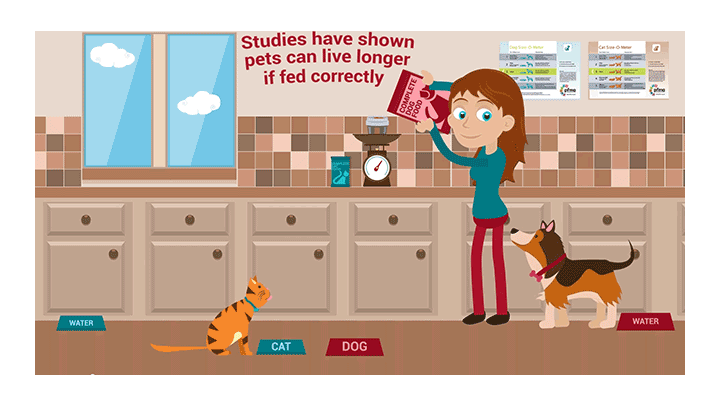 To find out more, look at the Ingredients section to find out why using the right ingredients in pet food is so important, what the right ingedients are and how they are sourced. We also have a section dedicated to helping you decipher pet food labels. 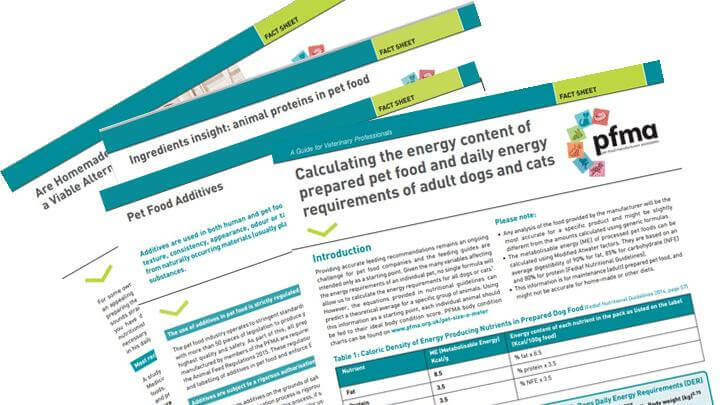 Also in our Tools and Resources sections, we have lots of educational material including our pet food animation on the production of dog and cat food and a wide range of fact sheets from labelling and additives to raw and homemade diets. The production of pet food is highly regulated to ensure that it is of utmost quality so we have sections dedicated to manufacturing and codes of practice. Don't forget to check our FAQ section too, which addresses many common pet food queries. PFMA's award-winning Annual Report contains all the latest market and population data plus membership and achievements.